Have you ever found yourself walking around on pins and needles for an ex-beau? Did he get huffy when you shut the car door a little too hard or get snippy when you asked to snuggle? Grr. 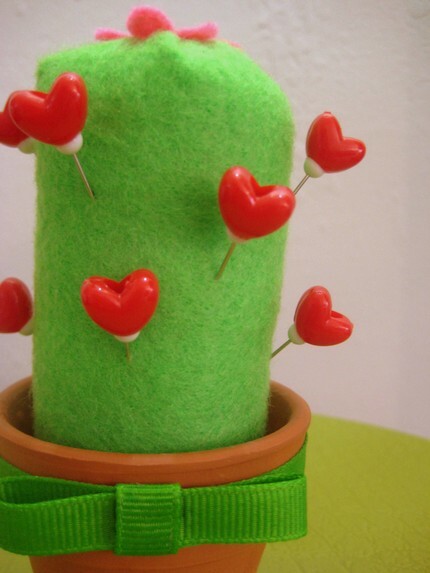 This heart pin and cactus pincushion is perfect for the crafty girl or, sigh, the voodoo practicing broken hearted plotting her revenge*. Wa ha ha ha ha!